People who suffer pain as a result of an accident deserve compensation, according to a consultant in chronic pain management, Charles Gauci. “In the UK, one can get compensation not just for injury but also for chronic pain resulting from an accident. In Malta, however, the courts don’t take pain into consideration but only consider disability. “This is inexplicable. 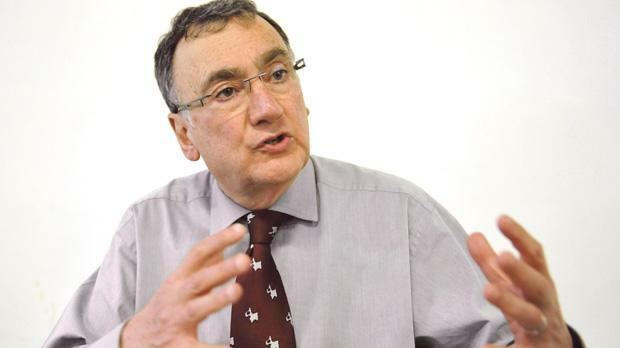 To my great amazement, pain in Malta does not enter the sphere of things,” Dr Gauci, the honorary secretary of the World Institute of Pain, told The Times. The consultant has appeared as court expert in the UK to assess the degree of pain in compensation cases. Dr Gauci, 65, has been involved in the field of pain management since 1979 and was a consultant at several hospitals, including Whipps Cross University in London, Queen’s Hospital in Romford and King George Hospital in Redbidge. He is a visiting consultant at Mater Dei Hospital. One of his textbooks was published in English, Spanish and Korean and he also ran the pain relief service for the British Army for years. Dr Gauci is the founder of the Pain Intervention Interest Group of the Pain Society and had set up the WIP Mediterranean section, which includes Greece and Malta. He lectures on pain management abroad and takes part in teaching workshops in the US and Europe. After the success of inter­ventional pain workshops in London, which he started 15 years ago, Dr Gauci is this weekend holding the first cadaver workshop in Malta. Held at the Department of Anatomy at the University of Malta, it will be attended by people from across the globe including Austria, Chile, Dubai, France, India, Indonesia, Italy, Malaysia, Poland, Russia, the Netherlands and Cyprus. Lecturers hail from Malta, the US, Belgium, the Netherlands, UK and Turkey. This would be the first workshop of its sort on the island and Dr Gauci is sure it will attract people from countries where it is impossible to teach on cadavers, like Italy and Israel. Despite spending most of his life abroad, Dr Gauci is “very proud” he is Maltese and will be retiring here, where he will remain active in the pain management field and, hopefully, organise other workshops. Dr Gauci explains that interventional pain is based on blocking the pain pathway without the need of medication. The procedure, which is not an operation, involves special needles and probes. Speaking on the importance of pain relief, he refers to the sixth WIP congress held in Miami last year, where the presidents of EFIC, WIP, the World Society of Pain Clinicians and the WIP Foundation signed a declaration to join forces for better pain treatment. The Declaration of Miami states that it is the right of any person to have access to the best possible pain relief. Chronic pain is regarded as a disease in its own right, he explains. Although pain can act as an alarm, in some cases like arthritis it is just making the patient miserable. “No one should be told to live with their pain,” he insists.